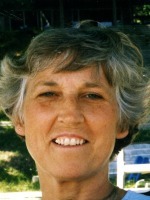 Eleanor M. ‘Ellie’ Sadler passed away Friday, April 27, 2012 at her home. Mrs. Sadler was born August 17, 1925 in Cleveland to Harold and Anna (Kasel) Peplow. On November 15, 1947 in Cleveland, she married Robert Sadler who survives. Also surviving are her children, Clifford (Marge) Sadler, Mary Ann (Jack) Emery, Robert (Sherri) Sadler and Thomas (Shellie) Sadler; seven grandchildren; 7 great-grandchildren and one on the way. Ellie enjoyed golfing and being with her family and her friends. She was a member of St. Ambrose and St. Margaret Churches. Preceding her in death were her parents, a sister, Rita Mould and a brother, Bob Peplow. In keeping with her wishes, cremation has taken place. Friends may visit with her family from 9:30 to 10:30 A.M. on Saturday, May 5, 2012 at St. Margaret’s Catholic Church, Otsego where a Memorial Mass will be held at 10:30 A.M. with Rev. Fr. Gordon Greene officiating. Memorial donations may be made to Hospice Care of Southwest Michigan. 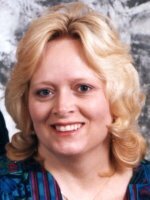 Debra ‘Deb’ Ann Digby-Cornell of Otsego, MI passed away Sunday, April 22, 2012 at her home. Deb was born February 9, 1957 in Plainwell, the daughter of Kenelm and Martha Digby. She was a volunteer with the Cub Scouts, Breast Cancer Reach to Recovery and Relay for Life. Deb enjoyed horses in her younger years, running and walking, gardening, collecting angel statues and traveling. Her most recent trips were to Las Vegas and Yellowstone. She was kindhearted, a wonderful wife, mother and homemaker, she was always there for anyone. Debra was married to Robert Cornell in Alamo on May 31, 1986. Surviving are her husband, Robert; sons, Ryan and Eric Cornell of Alamo; parents, Martha Thompson and Kenelm (Dorothy) Digby; siblings, Mark Digby, Terri (Richard) Brumm and Michelle Digby all of Alamo; several nieces, nephews, aunts, uncles and cousins. She was preceded in death by her sister Penny Digby. Friends may meet with her family from 2-4 and 6-8 pm Tuesday at the Winkel Funeral Home, Otsego where services will be held Wednesday at 3:00 P.M., with Pastor Kathy Brown officiating. Cremation will follow with a private burial of ashes at Alamao Center Cemetery at a later date. Memorial contributions may be made to American Cancer Society Reach to Recovery. David P. Sanders of Grand Rapids, Michigan passed away Friday, April 20, 2012, at his home. David was born January 14, 1947 in Battle Creek to Lester and Irene (Reynolds) Sanders. During the Vietnam War he served his country in the U.S. Army. For over 20 years he was employed with Standard Lumber Company in Grand Rapids. In his leisure time he loved playing Bingo, going to the Casinos and fishing. On June 23, 1989 he married Gayle Veld, who survives. Also surviving are his children, Kathy (Larry) Allen of Posen, David Sanders of Hillman, Mike Sanders of Alpena and Kimberly (Adrian) Crawford of Chillicothe, OH; step-children, Caryn Jo Sylvester and Billy Holloway, both of Grand Rapids; many grandchildren and great-grandchildren; siblings, Eve LeBlanc, Robert (Esther) Sanders, Perry (Wilma) Sanders, Bonnie Sanders, Julie (Tim) Dunklee and Everett (Cindy) Sanders; many nieces and nephews. He was preceded in death by his parents and siblings, Francis and Doris. Friends may meet with his family from 2 to 4 and 6 to 8 P.M. Monday at the Winkel Funeral Home, Otsego, where funeral services will be held at 11:00 A.M. Tuesday, Pastor Ron Lugten officiating. Burial will follow at Mountain Home Cemetery, Otsego with Military Honors by V.F.W. Post #3030. Contributions in memory of David may be made to Twin Lakes Reformed Church or Great Lakes Caring Hospice. Nancy B. 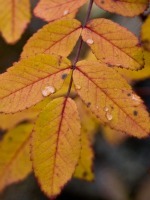 Strong of Allegan, Michigan passed away Sunday, April 15, 2012 in Allegan. Mrs. Strong was born January 14, 1937 in Otsego to Carlton and Josephine (Franklin) Belden and was a lifelong resident of the area. 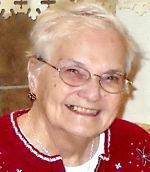 For many years, together with family members, she owned and operated the Olympia Restaurant in Otsego and the Olympia Truck Stop in Plainwell. When she wasn’t working or taking care of her family, she led Bible studies at the Allegan County Jail. On July 3, 1953 in Otsego she married Allen Strong, who survives. Also surviving are two sons, Terry Lee (Sherry) Strong of Arizona and Brett Strong of Allegan; 6 grandchildren including Adrian Strong, Kyle (Carrie) Strong, Heather (Brandon) Brennen and Taylor Strong; 7 great-grandchildren including Ella Nicole Brennen; her sister, Sally (Robert) Brown of Otsego; several nieces and nephews and Kyle and Heather’s mother Laury Grove who has remained close with the family. She was preceded in death by her infant son Bradley, then by her son Link Strong in 1982, her brother, Richard Belden in 1969 and her sister-in-law, Betty Belden Hurst of Otsego. In keeping with her wishes cremation has taken place. A Memorial Service will be held at 2 PM on Saturday April, 28, 2012 at the Emmaus Road Bible Church with a luncheon to follow. Burial of ashes will be at Mount Ever-Rest Memorial Park North, Kalamazoo. Contributions in memory of Nancy may be made to the Mission Fund at Emmaus Road Bible Church. 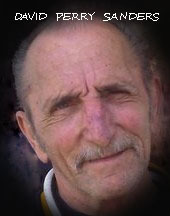 Michael Leo ‘Mike’ Welcher of Otsego, MI went unexpectedly to be with his Lord on Thursday morning April 12, 2012. Mike loved being outdoors. He went up north hunting every year to his uncle Gordon’s ‘Hunting Shack’ with his son, nephews and his uncle Gordon. He also went every summer to Eagle Lake, enjoying just being there with his family and friends and spending many mornings fishing and talking with his daughter. Like his father, Mike was involved for many years with the Scouts. When needed he stepped up and became Cub Master and helped his cub scouts earn many of their achievements. He continued on through Boy Scouts as a Scout Master with his son Tyler. In his daughter’s younger years he loved going to her dance recitals. He tried to be at all of his children’s events. He especially enjoyed football, wrestling, basketball and track and keeping busy helping out at many athletic events. He’s been a member of the Otsego Athletic Boosters for 5 years spending a lot of time flipping burgers and dogs. His first love was his family. Michael was born September 21, 1965 in Plainwell to Lloyd and Marilyn (Mahieu) Welcher. On June 16, 1990, in Otsego, he married Stacy Deemer, who survives. Also surviving are his children, Tyler and Brandilee Welcher; his mother, Marilyn (Jerry Fenner) Welcher; a sister, Christine (Michael) Pallett of Plainwell, brother Jeff (Carol) Welcher of Plainwell; brothers-in-law, Steve (Mikkii) Deemer, Scott Deemer, sister-in-law, Sandra Deemer; nieces and nephews, Dillon and Devin Thomas, Sydney and Ryan Welcher, Jessica and Stephanie Deemer, Brandon Bruischart, Megan (Chad) Bouwman; mother-in-law Vicki Deemer, father-in-law, Blair (Jan) Deemer; several aunts, uncles, cousins and friends. He was preceded in death by his father Lloyd Welcher, whom he missed greatly, grandparents, Clarence and Edna Mahieu, Paul and Barbara Welcher and his uncle Bob Fales. Friends may meet with his family on Monday from 2-4 & 6-8 P.M. at the Winkel Funeral Home, Otsego. Services will be held Tuesday at 11:00 at the Plainwell United Methodist Church with Pastor Dan Minor officiating. Burial will follow at Mountain Home Cemetery, Otsego. In lieu of flowers contributions in memory of Michael may be made to the Otsego Athletic Boosters Scholarship Fund or a Benefit Fund for his children. 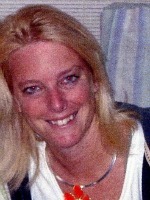 Amy N. Hartman of Plainwell, MI passed away Wednesday, April 11, 2012 in Plainwell. Amy was born April 19, 1973 in Plainwell, the daughter of Roger and Ann (Rouse) Kortokrax. She was employed with Otsego Paper Co. Everyone knew her as ‘The Pumpkin Lady’. She was the life of every party and had an infectious laugh and a beautiful smile. Amy was a great mother and loved spending time with her sons and all of her family. Surviving are 2 sons, Kyle and Joel, both at home; her mother and step-father, Ann (Roy) Hoffman of Ellenton, FL; her father and step-mother, Roger (Nancy) Kortokrax of Otsego; siblings, Jason (Nancy) Kortokrax of Plainwell, Aaron (Jaime) Kortokrax of Otsego, Eric (Maria) Hoffman of Shelbyville, Jessica Hoffman of Otsego and Jason (Amy) Bos of Otsego; her grandmother, Valerie Kortokrax of Otsego; several aunts, uncles, nieces and nephews; her best friend Tina. She was preceded in death by her grandparents, Fay and Dolores Rouse and Gene Kortokrax. Friends may meet with her family from 2-4 and 6-8 pm Sunday at the Winkel Funeral Home, Otsego where services will be held Monday at 11 am, Rev. Fr. Gordon Greene officiating. Interment will follow at St. Margaret’s Cemetery. Memorial contributions may be made to Sylvia’s Place. 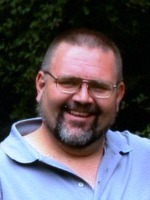 Philip M.Shimnoski of Otsego, died April 13, 2012 in Kalamazoo. Philip was born October 22, 1938 in Manistee, MI to E. Michael and Mildred (Hall) Shimnoski. He served his country as a Chief Petty Officer in the Navy retiring after 20 years of service. After the service he worked for Honeywell retiring as an Electronic Engineer. Philip was a life member of the VFW Post 3030, a member of the American Legion in South Haven and a member of the US Submarine Veterans Holland club. In his leisure time he enjoyed fishing, hunting, golfing, bowling, including a 300 game, and spending time with friends. On August 13, 2011 in Wellston he was married to Kathy Plotts who survives. Also surviving are his children, Pam (Andy) Bowerman, Patti Hubbard, Paula Shimnoski, Peggy Ross, Penny Brown and Paula (Terry) Donaldson; brother J. Scotty (Barbara) Shimnoski, sister Joyce Ann (John) Jeruzal; 2 step children, Connie Rose and Randy (Lisa) Plotts; many grandchildren, great grandchildren and nieces and nephews. Preceding him in death were his parents and a brother David Hall Shimnoski. In keeping with his wishes cremation has taken place and a Memorial Service will be held Tuesday, April 17, 2012, at Noon at the Otsego VFW Post 3030 in Otsego with Father Liepka officiating. Military Honors by Otsego VFW Post 3030. Contributions in memory of Philip may be made to VFW Post 3030. 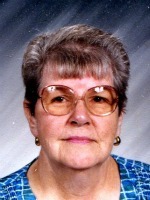 Violet J. Mollitor of Plainwell went to be with the Lord on Easter Sunday, April 8, 2012 after a long illness. She was born on February 5, 1935 in Allegan, MI to Mary (Harrington) and Orval Evans. Violet was one of 10 children and was the only girl. Her early childhood was remembered as having plenty of family strugles. At times it was difficult for the family to have all of the basic needs met. The hard times helped to pull the family together though. With guidance from her mother and her quiet loving personality, it was clear that family was always going to be the most important thing to Violet. Growing up she helped her mother care for her brothers, this helped to strengthen the special relationship she and her mother shared. Violet married Robert Stratton and although the marriage ended early, they had two sons, Robert and Michael, both of Plainwell. Violet then fell in love with and married Willard Mollitor. They soon added to the family with sons, William, Jeffrey and Joseph Mollitor. To help support her family Violet waited tables at local diners in the Otsego-Plainwell area and had also worked for Kal-Equip. As her family grew and the need for her at home became greater Violet quit working outside the home to focus on her family’s needs. As her family grew, there were grandchiildren for her to care for. Violet went back to work for the Plainwell School District for about 5 years, working at Starr Elementary and the Middle School. She really enjoyed all the children she came in contact with and loved donating winter mittens for the kids that needed them. She used to carry mittnes in her pocket and would give them to children that she thought could use them. For several summers Violet and her family would go to Eagle Lake to stay at the cottages for a week. She was an avid reader and could have several books going at the same time. Throughout her life, she enjoyed going to garage sales, to bingo and to the casino to try her luck. Violet also enjoyed some traveling; she had gone on a cruise with Jeff and Bill and his family, which was a thrill for her. Her first plane ride was to California with her daughter-in-law, Lynn. The best times were those spent with her family, cooking and enjoying time with them. With her health in decline, Violet lived at the Life Care center of Plainwell, where she had been a resident for the past year. She met many friends and was loved by all that knew her. Violet is survived by her sons, Robert (Linda) Mollitor and their children, Allen and Ben, William (Lynn) Mollitor and their children Brock and Ryan, Jeffrey Mollitor, Joseph (Angela) Mollitor and their children, Mason and Logan all of Plainwell; daughter-in-law Rhonda Mollitor and her children Lisa and Michael; brothers, Robert of California, Frank ‘Sunny’ of Ohio, David, James and Richard of Allegan; a great-grandson; several nieces and nephews, as well as many friends she met along the way. Violet was preceded in death by her parents, twin brothers, Burl and Merl, brothers, Bruce and Orval Jr. in 2000, Violet’s husband of 45 years, Willard ‘Bill’ in 2001 and her son, Michael in 2007. Friends may meet with her family at the Winkel Funeral Home, Otsego on Thursday, April 12, 2012 starting at 11:00 AM with a service to follow at 1:00 PM with Pastor Kevin Smith officiating. Cremation will take place following the service. Memorial contributions may be made to Christian Neighbors, or Wings of Hope Hospice. John J. ‘Jack’ Mohr of Allegan, Michigan, passed away Monday, April 9, 2012 in Allegan. Mr. Mohr was born September 23, 1915 in Naperville, IL to Jacob and Amelia (Hoffman) Mohr. 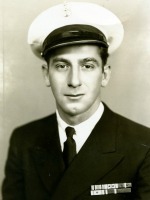 During WWII he served his country in the U.S. Navy. Jack was a member of Peace Ev. Lutheran Church of Otsego. Surviving are a sister, Frieda Crabbe of Rockford, IL; three nieces and two nephews, Janice (Ernie) Cochran of Allegan, Mrs. Gerry Tummel and Herb Crabbe, both of Rockford, IL, Eddie Crabbe of Arizona and Ina Winter of Plainwell; many great nieces and nephews; special friends, Harold and Doris Haase of Allegan; and his friends of the Garden View group at Allegan Medical Care Community. He was preceded in death by two brothers, William Mohr and Adam Mohr; a sister and her husband, Emma and William Winter; a sister-in-law, Esther Mohr; brother-in-law, Dr. Edwin Crabbe; a niece and her husband, Emma and Ted Patranc, and a nephew, Harold Winter. Cremation has taken place. A Memorial Service will be held at 1:00 P.M. Thursday at Peace Ev. Lutheran Church, Otsego with Pastor Jason Thiel officiating and Military Honors by V.F.W. Post #3030. Burial of ashes will be at Trowbridge Methodist Cemetery. Contributions in memory of Jack may be made to the Peace Lutheran Church Piano Fund.